Customers and restaurant staff are equally important in making the dining fine. A few weeks ago, I was feasting with friends at a restaurant known for excellent cocktails. My pals ordered elaborate creations. I was on medication at the time, so I needed a virgin version. But I saw no non-alcoholic cocktails listed on the menu. Everyone was throwing back drinks like the world was on fire. Who wants to be Debbie Downers-Don’t Mix-With-Booze? So I asked our waiter, off to the side, if I could have an alcohol-free take on a popular drink. He returned with a tray of libations. “And who had the non-alcoholic one?” he asked. The chatter stopped. I raised my hand like a kid called out in algebra class, and the waiter reached across the table to present me with my special potion. When he left, I explained to my pals that I was on medication that would make me drool into my dessert. Fortunately these are good friends, and my situation is temporary. Nobody judged. But what if I were at a business dinner? Or in recovery? What if I was newly pregnant — and not in the mood to announce it over margaritas? Sure, I could just fib and say I had a headache or wasn’t in a tippling mood. But this kind of situation puts a non-drinker on the spot and forces us either to lie or disclose personal choices or health problems. Maybe drinking culture is too entrenched — but until that culture shifts, servers could also be more subtle. When people gather for drinks at a restaurant, it would be nice if the server does not out a drinker who prefers a non-alcoholic beverage. Around the same time, a friend complained that she was at a family-friendly chain restaurant with her two kids at a meal that wouldn’t end. Her toddler did not require a dissection of the wine list. Her first-grader did not especially care about the origins of his salad. This family needed spaghetti, and they needed it fast. But my friend was treated to a lengthy tour of the menu while her children nearly flung themselves out of their chairs. Why? Oh, customers act like boors, too. There are people who pay with too many credit cards and expect the waiter to perform math on the spot, take to Yelp to vent instead of speaking to a manager like a human being, or let their children dart in between servers’ legs and tango between tables. So how can we — diners and professionals — make the experience better on both sides? 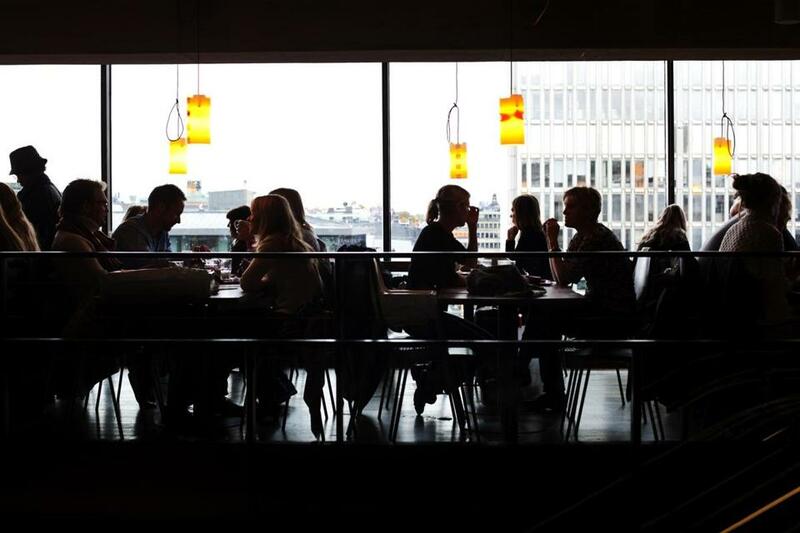 According to data from the Massachusetts Restaurant Association, residents spent $17.1 billion at food and beverage operations statewide last year. Across the nation, slightly more than 50 cents of every food dollar was spent away from home. “We believe Massachusetts is slightly above that number,” says association president Bob Luz. Bottom line: If we’re spending all this money on restaurants, we should make sure the experience is a happy one. So I asked civilians and industry professionals for their pet peeves and suggestions. The response was immediate — and enormous. On Friends of Boston’s Hidden Restaurants, an affinity group of 3,800 local restaurant-goers, the replies came in like a cathartic flood. I posed the question on my own social media and had a similar experience. People feel indignant about dining out in a way that they might not after, say, seeing a movie. Maybe this is because we can see restaurant drama unfolding before our very eyes, with real people reacting in real time. We can dislike Meryl Streep’s performance in a movie, but we’re not going to walk up to her after the show to ask for our money back. At a restaurant, though, there’s a sense of immediacy and of being owed something. “It’s a live performance every night. That’s part of the excitement,” says Michael Pagliarini, proprietor of Cambridge’s Benedetto and Giulia. And it’s also part of the stress, such as when someone dumps water on you or lets their toddler run amok in the dining room. After weighing the responses, I’ve compiled some ideas to make the experience even better on both sides. C’mon, have a sense of proportion. “There are habitual ‘not liker’ customers,” says Julie Nadeau, a server at Brighton’s Flatbread Company. “People who, when you open a bottle of wine for them, will say, ‘Yeah, I don’t like that.’ We open the wine to let you taste it to make sure it’s not skunky. People think we do it to see if it’s the wine they want. If we did that, we’d have five open bottles! There’s discerning, and then there’s nudgy,” she says. Would you ask for endless free samples at a grocery store? No? Then why do it at a restaurant? Do unto others. Most restaurant workers have the best of intentions. Nobody is setting out to lose your credit card or overload your salad with cilantro. Going in with a bad attitude isn’t going to shame anyone into treating you better — just the opposite. A restaurant isn’t a day-care center. 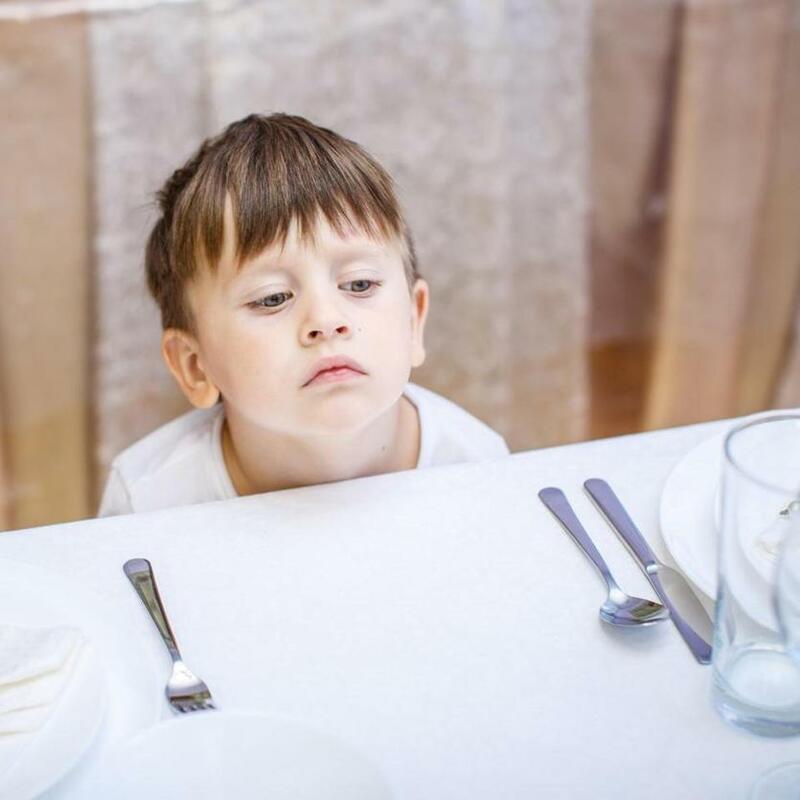 Not only is it aggravating to spend your meal seated next to a disruptive tot, but there are dangers for employees, too, especially when kids are allowed to run loose in the dining room. If a dining party has children, servers should bring the check with the meal; if things go south quickly, the family will be able to leave sooner. And if your children have flung Cheerios or wadded-up napkins on the floor, please pick up after them. You wouldn’t trash someone else’s home — don’t trash a restaurant, either. Reservations exist for a reason. So you walk into a half-empty restaurant without a reservation, and the host tells you that there isn’t any space at the moment. But look at all those vacant tables! Injustice! What’s going on here? Staffing. Maybe a server called out sick. Maybe the restaurant only designates four tables per server for a more intimate experience. Know your server’s name. “Hi, my name is Mike, and I’ll be taking care of you today!” A server says this, and you inwardly groan: Mike is going to be too chatty, and you’re in for an endless meal. Mike is going to tell you about his grandmother’s favorite dish; slide into your booth to explain the concept of “starters”; and check in every three minutes, probably when you’ve just taken a bite of food. Diners complained time and again about servers who tell you their name as if they’re grasping for a meaningful connection. The true motive is more practical: It makes it easier to request your server if you need something. “The telling of the name thing is not about being personal, friendly, cozy, and too familiar. There are two Julies [at Flatbread]. And we all look alike,” explains Nadeau. Be transparent about timing. A good server should be able to read a table. But why not help them along? “Be upfront if you’re on a time constraint. Don’t assume we know you’re going to the House of Blues,” says Garrett Harker, the restaurateur behind places like Eastern Standard, Island Creek Oyster Bar, and Row 34. Known for his hospitality, he’s a 2018 James Beard Foundation semifinalist for Outstanding Restaurateur, and Eastern Standard got a nod for Outstanding Service. “Say, ‘We’re going to have a couple of appetizers, and [you can] fire them right away.’ That’s a nice way of saying, ‘We’re looking for the quicker experience,’ ” he says. Keep the cards to a minimum. We all have that friend who wants to split the bill 10 ways to avoid overpaying by a penny. Or the guy who really needs to use his Amazon credit card to get a free grill. Just know that multiple cards will make your server disappear for a while to perform calculations. If diners are going to spilt a bill and pay with multiple credit cards, they should be prepared to wait while servers do calculations. 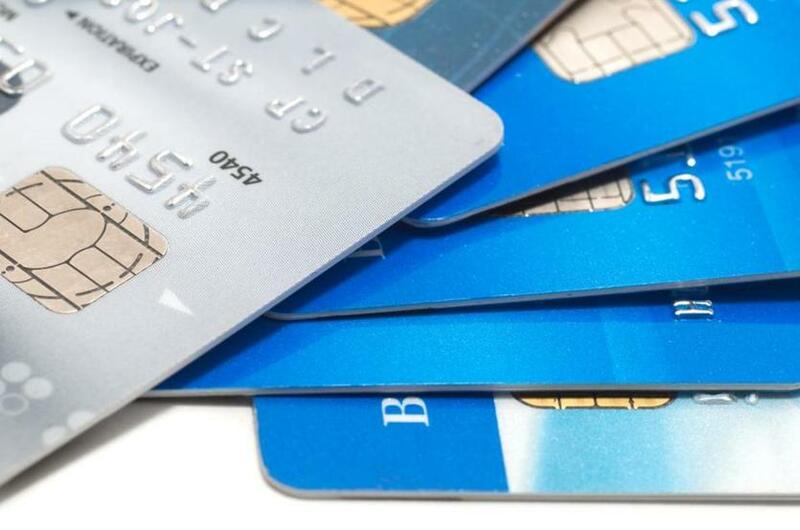 And while it might seem like a server has been gone forever with your credit cards, sometimes it’s an illusion because you’re anticipating leaving. “It’s a moment of tension because time moves differently when you sit down and at the very end,” Harker says. Speak up. Instead of stewing about a mixed-up order or a surly server, ask for a manager. “Talk to us. We’re here for you, and we can fix [the problem] right away almost every single time. We can improve it every time. Trying to preserve the calm peace of your experience regardless? Call or e-mail the next day,” suggests Loyal Nine owner Dan Myers. Move along. This morning, I had brunch with friends at The Friendly Toast. The wait was two hours. And you know what? My friends and I were clueless. We hogged the table after we’d finished eating — and we shouldn’t have. Eventually, a manager came over and nicely explained that there was a two-hour wait. We all bolted up like our kids were running into traffic. I respected the manager for hustling us along. If you see a line forming out the door or people hovering over your table like drones, wrap it up. Don’t auction off drinks and food with editorial comments. 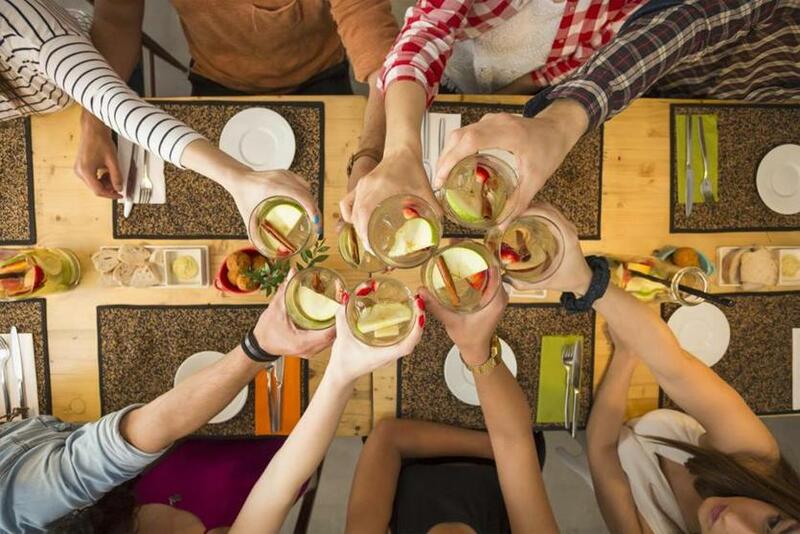 Please, don’t out a teetotaler at a table of drinkers. Don’t force the gluten-free diner to explain to her boorish colleague that, yes, she really does have an allergy and it’s not just a new-fangled conspiracy. Auctioning off dishes with particular components can derail conversations and put guests on the spot. Be sensitive about seating. Do not steer grandma or a heavily pregnant woman to a section with only high-top seating. Those wobbly chairs aren’t comfortable for anyone — let alone people with health issues. Share the whole menu. Do you have kids’ dishes? Say so! On the menu! Do you have specials? Recite them — and explain the prices, please, too. Ordering the chef’s grandmother’s lasagna, only to discover that it’s stuffed with rare truffles and available for the low price of $45 per portion, feels like a betrayal. Don’t infantilize, and don’t judge. In the Small Plates Era, nothing’s worse than a server patronizingly explaining the concept, informing you that you’ll need at least four or five dishes per person (really? Are we training for the Olympics?) — and then balking if you order fewer than the suggested amount. “When servers pitch you on small plates, how it works and suggest how many plates to fill your appetite. When you order under the amount suggested, they judge you,” gripes Jeff Gabel, owner of Jewish food pop-up Kitchen Kibitz. Diners have other phrasing pet peeves: “Still working on that?” (we’re not eating with chainsaws here!) or “Still picking?” (yuck) rank high on the list. Don’t vanish. So diners asked for a few more minutes with the menu. Strategic error! The server vanishes to the Isle of Lost Waiters, never to return. If you’re especially slammed or the kitchen is backed up, say so. Explain what’s going on behind the scenes. Encourage the table to perhaps order an appetizer — or, if things are really moving sluggishly, send something over as a snack. Don’t clear the plates until everyone is done. It’s awkward for slower eaters. Turn up the lights and turn down the music. Unless you’re also running a nightclub, nobody wants to read a menu with an iPhone flashlight — or catch up on “Scandal” in between techno-throbs. Bring the check with the meal if there are kids involved. Do you see children squirming, buckling, melting down? Deliver the bill when presenting the entrees. This way parents can eat and run. Don’t worry about rushing them. If the child is singing show tunes into his milk and turning his spaghetti into a beard, they’re really not planning to linger. Spellcheck the menu. Roast beef on a toasted “bum” is not appetizing. And, most of all, communicate. Diners. Restaurateurs. Servers. Everybody. We’re all just hungry humans here. “Some of my closest regulars are people we’ve done terrible things to. I have awesome regulars [with relationships] that started with an e-mail of how bad we are. And I’m grateful,” says Harker.